British Columbia is best known for the buzzing metropolis of Vancouver, the old growth forests of the West Coast, and the ski hills in the Kootenays and Coast Mountains. But if you venture further north, you’ll experience an entirely different adventure. Northern British Columbia is one of Canada’s best-kept secrets. If you are en route to the Yukon or Alaska by road, you can easily discover the oasis of Liard hot springs, the pristine lake and quaint town of Atlin, and the vast mountain scenery along the Alaska Highway and the Stewart Cassiar Highway the that travelers who stay further south never find out about. 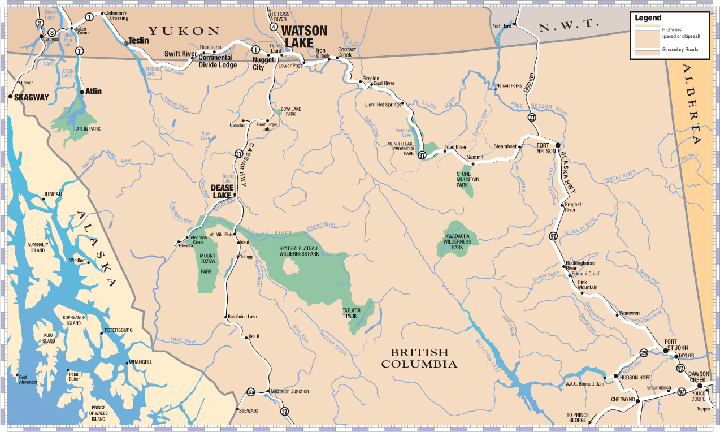 Much of Northern British Columbia has close ties with the Yukon. 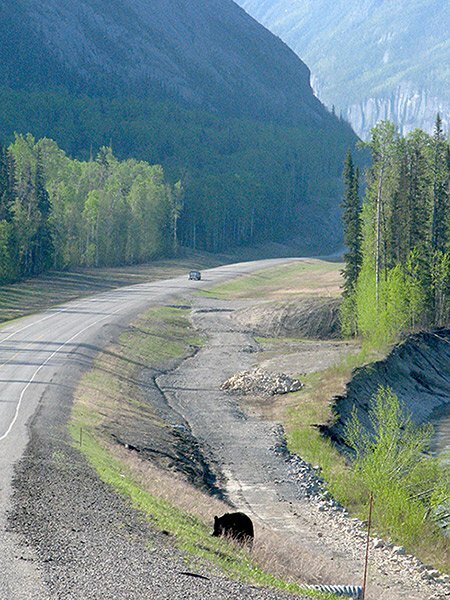 The Alaska Highway begins in Dawson Creek, BC and meanders through northeastern BC towards the Yukon while passing through the communities of Fort St John and Fort Nelson. Along the way, pause at Muncho Lake to enjoy the view, then stop at Liard Hotsprings for a refreshing soak. If you want to visit a true gem of Northern BC, turn south at Jake’s Corner towards Atlin, BC. Isolated from the rest of British Columbia and with no cell phone tower, Atlin is a scenic mining town that evokes the slow pace and tight-knit community of an era gone past. An alternate route to the Yukon exists at Junction 37, where you can choose to turn north off of Highway 16 between Smithers and Terrace and travel to the Yukon via the Stewart-Cassiar Highway. This road goes through Dease Lake and connects Highway 16 to the Alaska Highway just west of Watson Lake. Some travellers may choose to reach the Alaska Highway through Prince George by travelling north on the John Hart Highway (Highway 97). Staying on Highway 97 will take you to Chetwynd and eventually east to Dawson Creek. You can also choose to turn north on Highway 29 at Chetwynd and travel through Hudson’s Hope to reach Fort St John.